These chalkboard planters are functional and very decorative, creating beautiful vertical gardens and making excellent gifts. 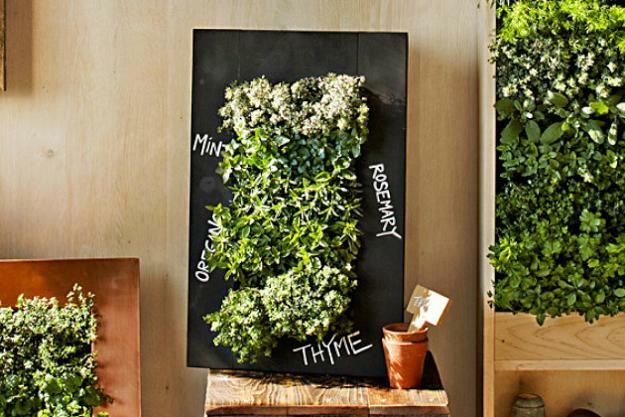 The black chalkboard paint add unique accent to wall planters that can bring your walls to life with a stunning vertical garden. Perfect for growing edible herbs or small decorative plants, these creative containers are space saving and very convenient. 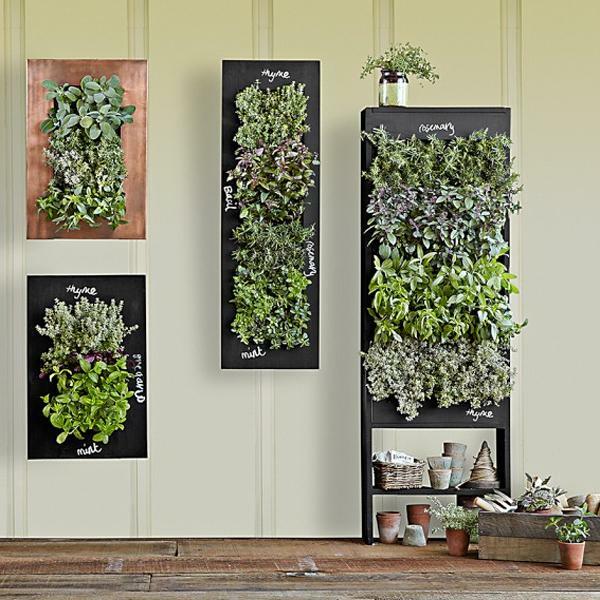 The wall planters mount securely to any vertical surfaces and offer unique way to maximize small spaces, grown and harvest fresh edible herbs for your kitchen while adding lush greenery to your interior decorating or outdoor rooms. Just fill the cells with the herb of your choice, and water as needed through the top irrigator. The hidden collector tray catches excess runoff. 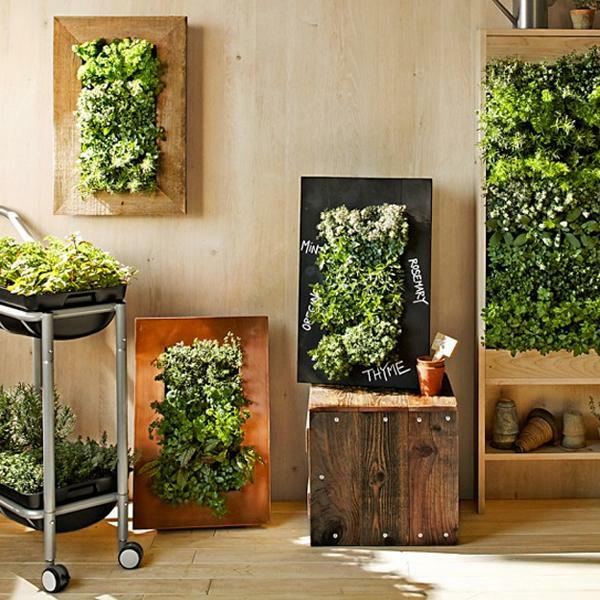 Creating a vertical garden is a wonderful interior decorating ideas. 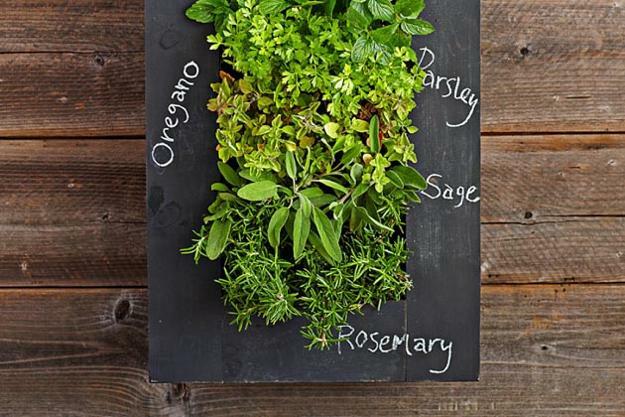 What an easier way to bring fresh edible herbs to your dining table! Perfect for interior decorating, these containers are great for outdoor vertical gardens if you have small balcony or patio, deck or porch. These designs give amazing inspirations for DIY projects and craft ideas. You can create similar wall planters and decorate them with your favorite details. Any colorful or black chalkboard paint will work well for such creative, functional, attractive and modern decor accessories. Colorful or black chalkboard paint is ideal for decorating wooden frames, offering numerous opportunities to personal;ize designs. 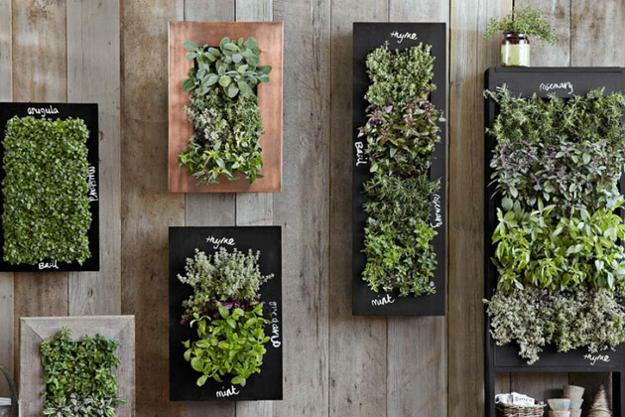 Vertical slots can be filled with soil for edible herbs or other outdoor and indoor plants of your choice. You can label them or use chalkboard painted surfaces for writing personal messages. Both ways on interior decorating add more fun to your living spaces. Water your plants from the top and watch the water trickle down into the hidden catch tray, that will keep the soil moist and plants happy. Order from Williams-Sonoma, www.williams-sonoma.com/products/chalkboard-wall-planter/ or steal the ideas for DIY wall planters and decorate wooden frames with colorful or black chalkboard paint.